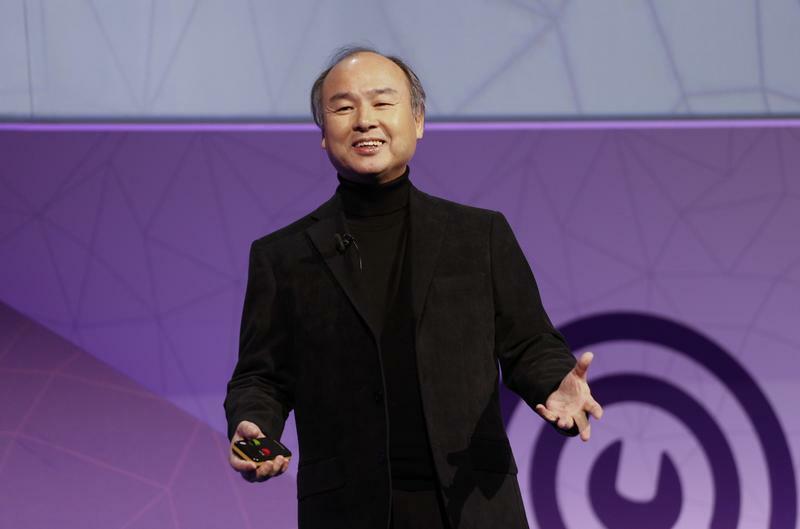 Masayoshi Son, President and Chief Executive Officer of Softbank, delivers his keynote speech at Mobile World Congress in Barcelona, Spain, February 27, 2017. Japanese conglomerate SoftBank Group has picked five banks including Goldman Sachs and Nomura as lead underwriters for an initial public offering of its mobile unit, Reuters reported on Oct. 12, citing a person with direct knowledge of the matter. The other banks are Mizuho Financial Group, Deutsche Bank and the SMBC Nikko Securities unit of Sumitomo Mitsui Financial Group, the report said. The share sale could raise roughly 3 trillion yen ($26.8 billion), Bloomberg reported on Oct. 12, making it the biggest IPO on record after Chinese e-commerce giant Alibaba Group’s $25 billion offering in 2014. Chief Operating Officer Marcelo Claure has pulled out of Saudi Arabia’s Future Investment Initiative, a flagship conference due to begin in the kingdom on Oct. 23, Bloomberg reported. Riyadh - one of SoftBank’s closest partners and the source of almost half of the capital in the Japanese group’s $93 billion Vision Fund - is at the centre of a widening international crisis following the death of journalist Jamal Khashoggi.